New York-based Infinity Real Estate just paid $4.85 million for a retail condo space at Paramount Bay on Biscayne Boulevard, as it continues to expand its Miami portfolio, The Real Deal has learned. 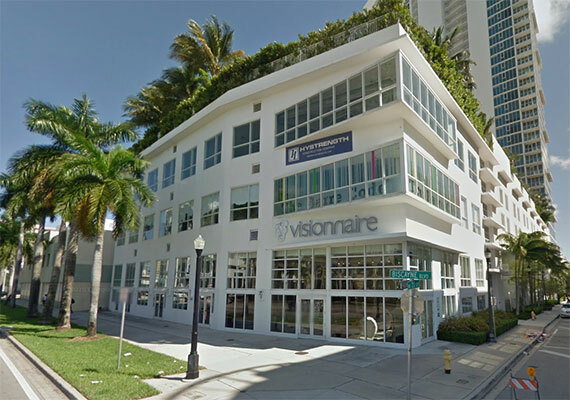 In the off-market deal, Infinity bought a 6,794-square-foot ground-floor site at 2063 Biscayne Boulevard in Miami’s Edgewater neighborhood. The current tenant is Visionnaire, a home furnishings store. The price equates to $714 per square foot. Irma Figueroa, director of retail leasing and sales for the Comras Company brokered both sides of the transaction. She also handles leasing for the building and had signed the tenant. The seller of the retail space is an entity led by Argentine investors, Figueroa said. The group paid $2.35 million for the space in 2013, Miami-Dade property records show. Edgewater is exploding with new residential projects, including four Paraiso towers, Elysee Miami and Aria on the Bay. The developments, in turn, are boosting the area’s demand for retail space, Figueroa said. “In Edgewater there are so many residential units going up it makes the retail more valuable, she told TRD. Infinity, an owner, operator and developer, focuses on properties in East Coast urban markets, including Manhattan, Washington, D.C., Miami and Philadelphia, said David Berg, Infinity’s investment director. The latest purchase marks Infinity’s second in Edgewater. The company is partnering with Greystone and Alta Developers to develop a new residential rental building at 2500 Biscayne, which is currently under construction. Infinity is currently partners in the overall project, and will eventually own the 13,000 square-foot retail space, Berg told TRD. Infinity also purchased the Johnny Rockets building on Ocean Drive in Miami Beach last year for $12.4 million. In addition, Kassin told TRD that the firm has been involved in private lending for retail real estate owners and developers in Miami’s Wynwood and Midtown areas.